Insider Profit Group Review – scam or make $1,175/day? What is Insider Profit Groups? With this “new” method you are told that you can turn $9 into $1,175 per day from a “little known secret” that will allow you to tap in a $4.7 Billion Honey-pot. This sounds very interesting! But is this a real thing or just another one of those “get-rich-overnight” thing? I decided to take a look inside and let you in on what this system is all about. Owner: Steven Jason – We have no clue who the “real owner” is. This is just a pen name that these kinds of systems use. Price: $9 with multiple upsells. Well, the sales video starts off with a pretty gloomy observation that the world is in a mess right now and that we are living in frightening times! Things in the world “are not looking good”! Why would they say things like that and then come back and say that this “may be one of the biggest opportunities the Internet has ever seen”. Okay! So we are in for one of “those” videos. I have seen it so many times before! There are so many very low-quality digital products coming out every day that it’s hard to keep up. I recently reviewed a similar system called The Silk Road Effect and it turned out to be nothing more than a PLR (Private Label Rights) that has been included as part of it and some cheaply made videos. I bet that this one is pretty much the same! Then he goes on saying that these “systems” that are sold online are the equivalent of spoiled milk and that these methods have expired long ago. That kind of made me laugh because usually these systems sell what they denounce and I’m about to reveal that this one is no different. But of course, he found this “advanced technique” using specialized paid tools reserved for big Silicon Valley type companies that mine data. And now he’s using it and the industry is now calling it “the new Internet”. This big “discovery” is using Facebook Groups and affiliate marketing. According to the sales video, this method is supposedly taking advantage of a $4.7 billion market. This is certainly not a discovery as the sales video is trying to make you believe. And I can tell you right now that this method is real. Facebook Groups and affiliate marketing have been around for many years now, so this is not something new and it’s NO secret either. The thing is you can definitely make money online this way, but the hype they dish out is not real! By this time on the sales video, it was all about how he has made a boatload of money all on autopilot and that he wants to share this wonderful system with you. To no surprise, the $9 front gate price is not the only “system” you will be offered. Upsell No. 1 ($197) is the “Platinum Group” and should be helping you increase your profits 23 times. Needless to say, I did not purchase any of the upsells. They tell you that you can make a ton of money, all on autopilot for a measly $9 and then once they got you in, they hit you with upsells over upsells with these “enhanced” products. This is very typical of most of the digital products sold on the Internet today (we’ll get back to this sentence later). 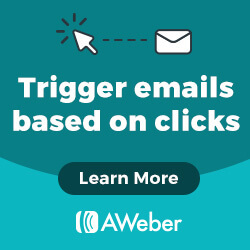 There are also links to other ClickBank products in the member’s area, so they are trying to sell you more right in there too. 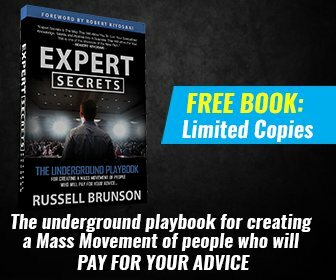 When you click on the Messenger Marketing you will have access to a PDF document called the China Secret (which is, by the way, a rehashed ClickBank product probably from the same owner/creator) and the author of this PDF e-book “Robert Walter” give the advantages of chatbot technology and how to set one up. It has 30 pages and has good information, but I did not read the whole thing, I just browsed. Then you have a product called FB chat bot step-by-step guide! I just knew it from the first few sentences of the video that it was another one of “those” system, which are just hype and false promises. The document itself “FB ChatBot secrets” has pretty good information to explain how chat bot works, the best practices, tools and how to set it up. If you are looking to implant this technology (chat bot) onto your (existing) website, at $9 for this system it’s a steal because the PLR itself is $47. But again, it’s general and generic information that you could probably find out on your own by doing a little research. To get back to the actual member’s area you have the “star product” called Insider Profit Groups. The FB Groups blueprint – This is an intro to FaceBook groups and how to use it for your business and make money with it. It’s very general and is info that you could probably find easily yourself on the Internet. READ Profit 365 Review - Scam? The Truth Revealed read this first! The FB Marketing Secrets – In this one, you will be given some details on how to form a Facebook group and how to get people to join your group. There is also information on how to manage it. The Fan Page Profits – Here you will be instructed that it’s probably better and easier to start a fan page first and getting people to like it than starting a FB Group. In the end, they do advise buying traffic with Facebook ads, which is also a good method but can become very costly if you don’t know what you are doing. Airdrop Secrets – Get free Cryptocurrencies! This is a guide on how collecting free cryptocurrencies works. This is a calendar to keep track of free cryptocurrencies! I personally am not interested in cryptocurrencies because I’m clueless as to how to sell and buy them. I did not spend much time in this section either. And the last section is about “eCommerce”. The Ultimate guide to Shopify – It says that this is a video training but in reality, it’s another PDF. Again these are included but they have nothing to do with implementing a Facebook group on your website. I did not take the time to research these documents, but my guess is that they are also PLRs that have been included or rehashed from a previous and similar product. Cheap at $9 for the basic products. It’s not a system so we will call it what it is, a bunch of PDF products. 60 days money back guarantee from ClickBank. Not as easy as they say it is, and the “honeypot” or “New Internet” is nothing new and has been around for years. It’s just hype to get you in and sell you the upgrades. All in all, if you look at the digital documents you get for $9, I could say that it’s not a bad deal. However, I would NEVER buy any of the upsells for a total of $441 and would not expect much more in them either! It is what it is, a bunch of PDF documents and they sell it as a method that you could make $1,175 per day. Sorry I just don’t believe it! I am not saying that FaceBook groups coupled with Affiliate Marketing are not going to work, as it is a true and real method. You are just NOT going to get the results they say you are with a few PDFs! They promote it as an easy and quick method to make money, while in reality, if you want to create something sustainable with affiliate marketing, you will have to put in considerable effort and time to make things happen. It is not as simple as creating a Facebook Group and then selling to thousands of members right away. It simply doesn’t work that way. In summary, the method they are trying to make as a get-rich-quick is actually the opposite. Is it a scam? Well No, it’s not a scam. You will get a bunch of PDF documents that are probably worth $9, even if some of them are rehashed from other ClickBank products and some (like cryptocurrencies) are not even related to Facebook groups. Despite this fact, technically there is a real method behind what they sell, they just use ridiculous hype to sell it which will end up making 99% of the people buying this fail because it has no true value. It’s a written document with nothing to support it! I use affiliate marketing to make money while I sleep. I love this method, it`s actually my favorite online money-making method, and I have been taught the right way from the start, so my online business is now successful. I highlighted that sentence because I do know and use a platform every day that has NO upsells and is constantly upgrading. They have a starter membership that you can try absolutely FREE without even having to give a credit card number. This platform will provide you with 2 Free beautiful, money-making ready websites, that are yours to keep for as long as you remain a member. And to top it off, you will have access to the first 10 lessons of world-class, step-by-step training. 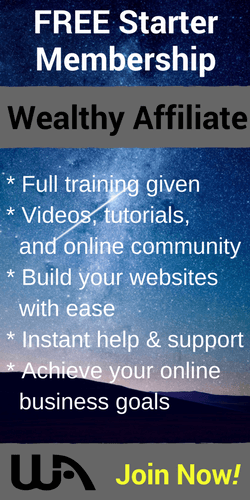 Wealthy Affiliate is the platform I have been using for over three years now, and I have no intention of going anywhere else. It’s more than a training platform, it’s a community of like-minded people who thrive on success and helping others being successful as well. To be quite frank, I have not found any other platform on the Internet like this one. And believe me, I have been scammed and bought some very shady systems in the past. However, just don’t take my word for it, go ahead and get in for FREE and try it out, you will soon find out that it’s the best decision you will have made for your online business. Click on the button below and join for FREE right now. No commitment, no money down, nothing. Click on the button below and get your own copy. Like always, if you have any comments or questions, please do not hesitate to use the comments section below!